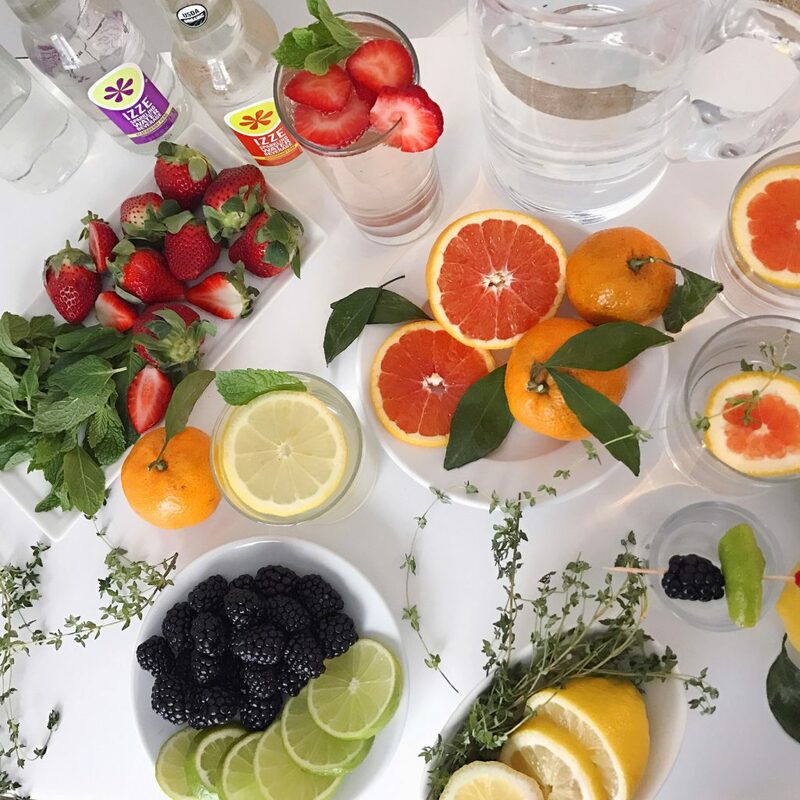 Staying Hydrated with Citrus Infused Waters. I’ve seen lots of people sharing their New Year’s Resolutions on social media, and one resolution that keeps popping up is the commitment to drink more water. Eight glasses a day is the goal, and I’ve been trying my hardest to keep to that over the last few months of my pregnancy to stay hydrated. 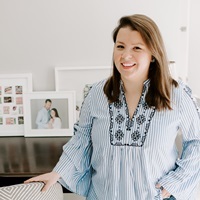 It can be really hard to keep it up (especially with a few fun side affects of this baby bump! ), but I’ve been getting much better at it. One thing that’s really helped is having a new Swell water bottle that keeps my H20 icy cold. 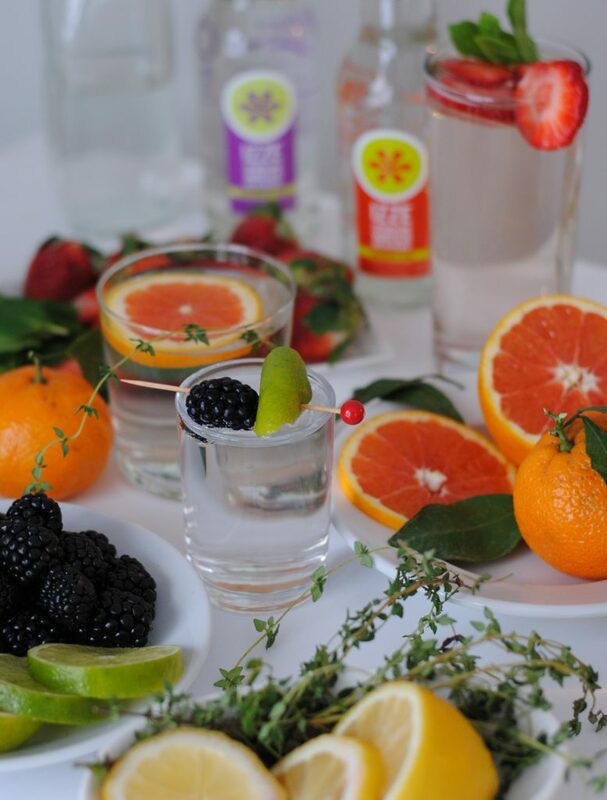 Another is mixing up flat water with something that has a little bubble, and adding a few fresh elements like citrus and herbs for a tasty infusion. 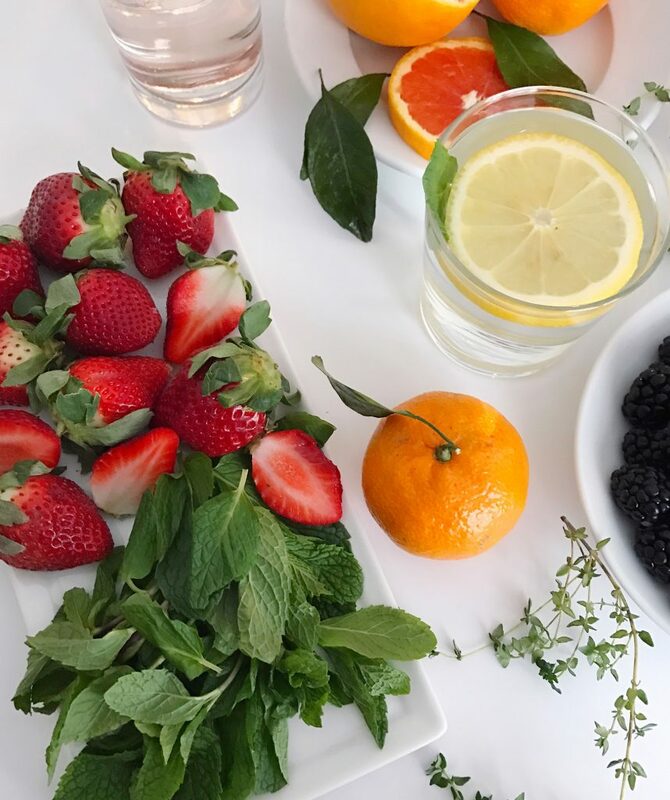 I thought I’d share a few ideas for your own citrus, herb, or berry infused concotions to inspire more healthy hydration in the New Year! 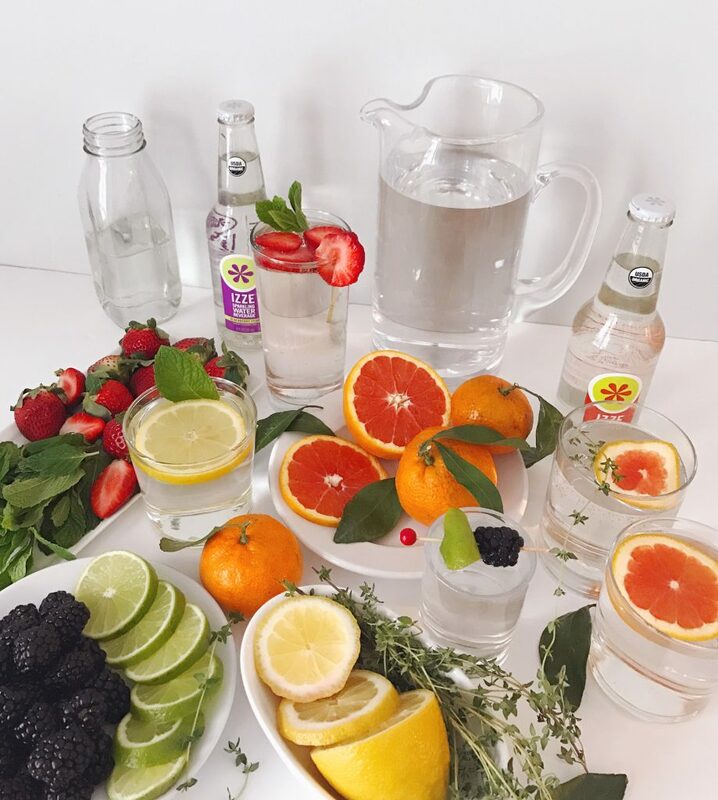 Start with a base water of your choice: flat water, seltzer, or a lightly flavored sparkling water like IZZE (I’m a big fan of the Mandarin Lime flavor, it has a perfect hint of citrus). To make your infusion, pour your liquid into a glass or an infusion bottle; for bigger batches grab a glass pitcher or infusion pitcher. 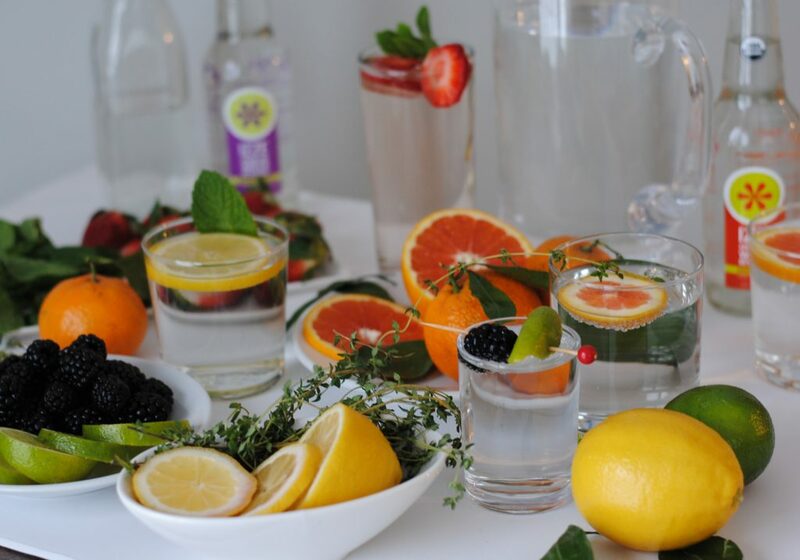 Once you have your chilled flat or sparkling water in either a pitcher or glass, add in a citrus component. 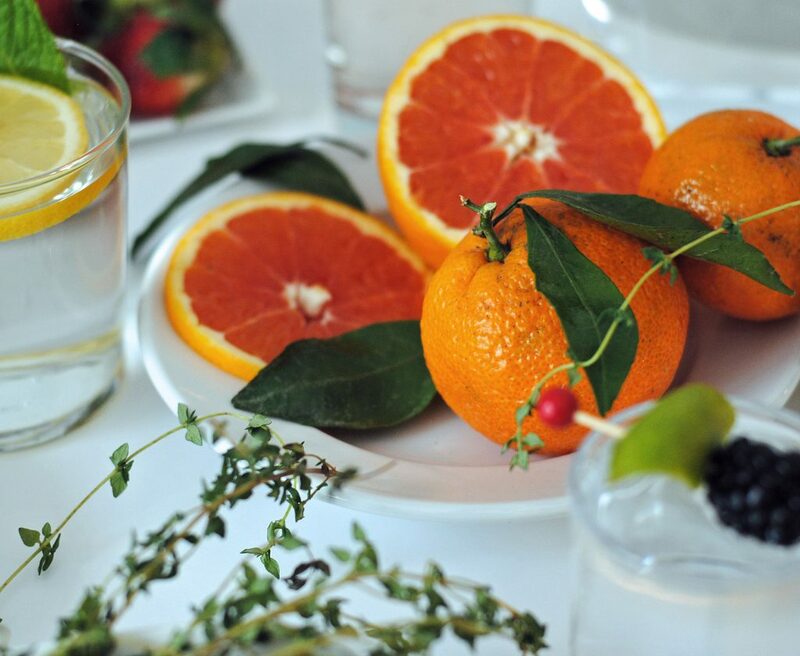 I cut up lemons, limes, and tangerines for these mixtures; try oranges and grapefruits too! Next layer in an herb or berry to add complexity to the flavors. 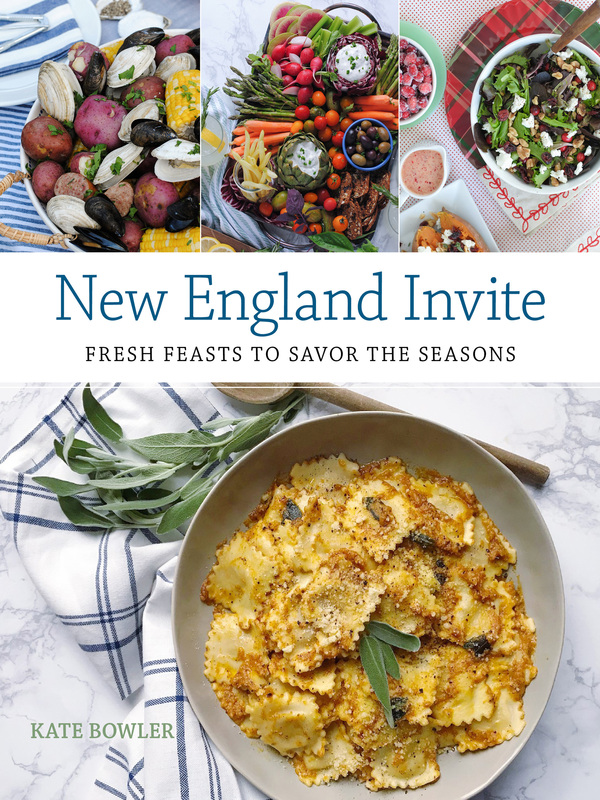 I’ve tried strawberries and mint, blueberries and basil, blackberries and thyme — the possibilities are endless. 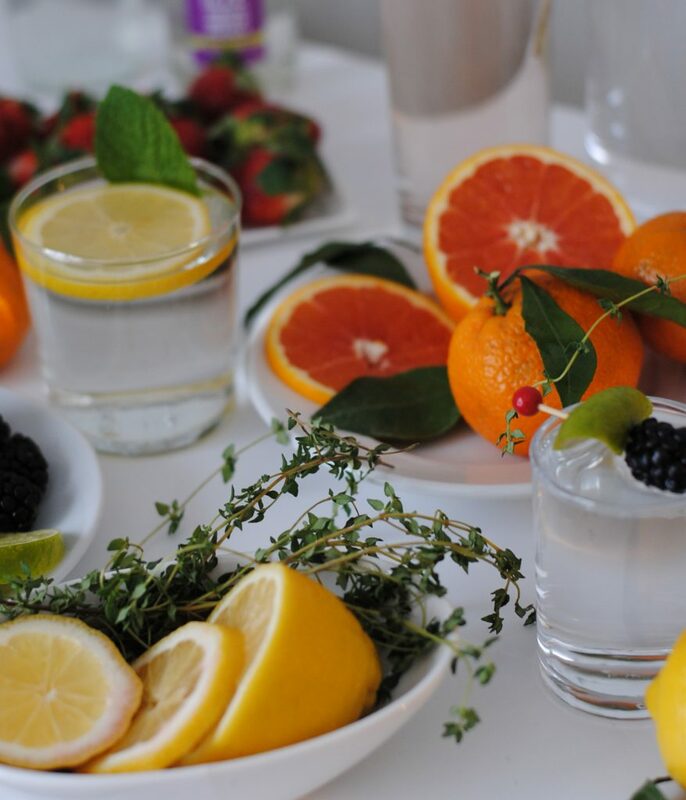 One of my favorite batches I made was IZZE Mandarin Lime with a twist of lime and some fresh blackberries, and another was grapefruit, mint and plain water. It’s such an easy fix and makes getting your 8-glasses a day in so much more tasty. Please note: This post was created in collaboration with IZZE. All opinions, images and content are my own. Big Game Bash Ideas. Bump Diaries: Week 41.